Using the Mark-10 Medical Dynamometer for Ergonomics Testing - C.S.C. Force Measurement, Inc. 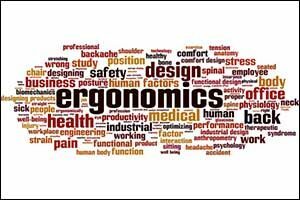 In a world where people sit at desks for several hours each day hunched over a computer or work at jobs where repetitive motion disorders can cut their careers short, ergonomics has become an essential tool. The proper ergonomic design of equipment, a piece of furniture, or any item that a person uses, is crucial in the prevention of repetitive strain injuries, as well as other disorders that can lead to long-term disability over time. An ergonomics testing kit, such as the Mark-10 Medical Dynamometer EK3 helps to ensure the proper fit between the user, the equipment, and the surrounding environment. What is a Medical Dynamometer? This piece of equipment is used to test push pull muscle strength and functional task requirements up to 500 pounds. An ergonomics testing kit is ideal for ergonomics analysis and can also be used in the workplace or for physical therapy. These Mark-10 kits provide all of the necessary components required to create a very simple and economical testing solution that can be used in a wide range of situations. Choose from the 100 lbF (500 N), 200 lbF (1,000 N) or 500 lbF (2,500 N) model, depending on your needs and requirements. Each kit includes a digital force gauge with data output, the dependable MESUR Lite data collection software, and a USB cable. The digital force gauge included is a Mark-10 Series 3, which features USB outputs, a compact design that is easy-to-hold and use, which provides measurements in pounds, ounces, kilograms, and Newtons. The Series 3 delivers peak force capture to help test push pull muscle strength and is made of durable construction to ensure long-lasting dependability. Operate with batteries or AC options, the Mark-10 Series 3 digital force gauge has a ±0.3% accuracy and a long track record of providing quality and repeatable results. The MESUR Lite software tabulates individual data points from the Series 3 gauge with a one-click export to Microsoft Excel for further data manipulation. The double- and single-handles are made from non-slip rubber for consistent test results. The ergonomics testing kit from Mark-10 includes everything you need to perform operations to test push pull muscle strength, including the medical dynamometer, basic software, and a digital force gauge. However, additional attachments and accessories can also be used to further target your testing to meet your specific requirements. Padded attachments, which are flat, curved, and square, can be mounted directly to the digital force gauge for conducting musculoskeletal strength analysis. A rugged hook and flat adapter can be used to attach directly to the digital force gauge for conducting job task analysis and providing ergonomic analysis for forces that include push, pull, and lift. The Series 3 from Mark-10 also includes a cushioned carrying case, an AC adapter, a battery, a comprehensive user’s manual, and a NIST-traceable certificate of calibration for accuracy. Optional equipment can be purchased through CSC Force, including the MESUR gauge software (15-1004), which has additional features and options beyond the MESUR Lite software that comes standard with the digital force gauge. The advanced software can tabulate and plot load vs. time with added start and stop triggers and analysis tools. MESUR gauge software can also calculate statistics, generate reports, export directly to Excel, and much more. Many industries rely on this ergonomics testing kit to prevent soft tissue injuries and the development of musculoskeletal disorders, which can be caused either by sudden or long-term exposure to force, vibration, awkward posture, or repetitive motion in the work environment. To create a safer and more productive work environment, ergonomic experts use a medical dynamometer to test push pull muscle strength with a digital force gauge. This can help to make instrumental changes in equipment, furniture, and other products designed to benefit the end user. If you would like to learn more about the Mark-10 Medical Dynamometer Ergonomics Testing Kit (EK3), contact CSC Force directly by calling toll-free 1-800-866-2672. Our team can answer any questions that you might have about the medical dynamometer, Mark-10 digital force gauge, or about choosing the best model, based on your requirements. Call today to explore your options for testing equipment and accessories at CSC Force Measurement.